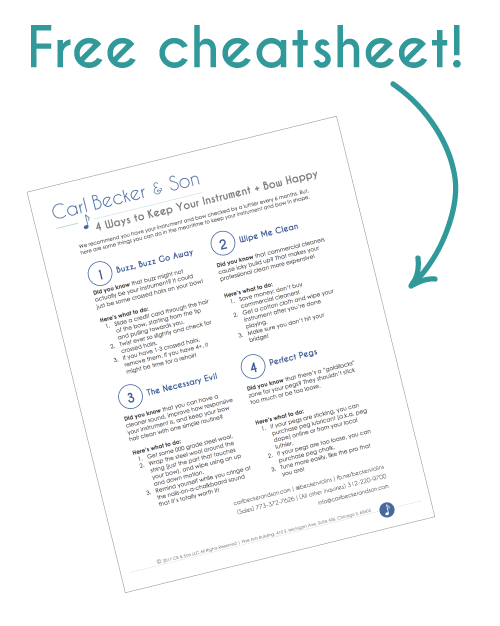 Carl Becker & Son brings five generations of experience and quality to help your instrument and bow sound their best. Paul Becker is continuing the family tradition of blending hand-crafted quality + technology to bring you a new line of breathtaking instruments. 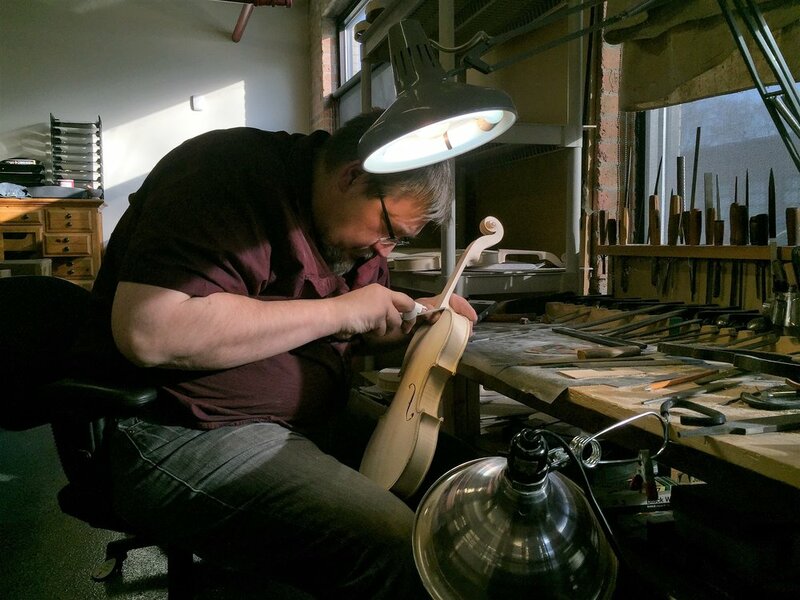 Paul Becker learned how to craft and varnish violins, violas, and cellos from his father and grandfather. Paul continues the Becker tradition of using technology to improve the quality and precision of handmade instruments. By blending technology with hand-made crafting, Paul Becker is innovating ways to make the best instruments in the world. Five generations of handcrafted instruments. Learn more about our history and dedication to instrument making and repair in this video created by Loyola University for the 2015 Family Business Award that Carl Becker and Son won. 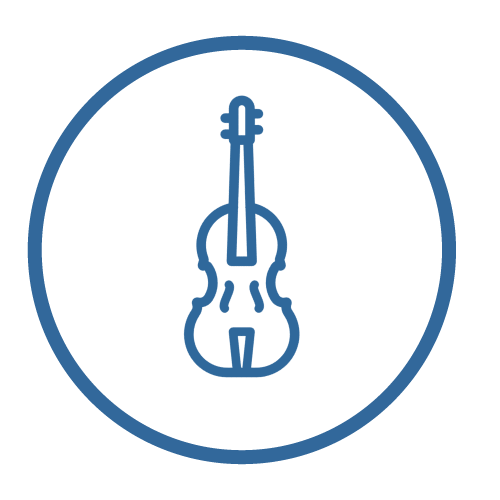 Whether you're a student or professional, we have the instruments you need and the expert repair services to help make any instrument sound its best. 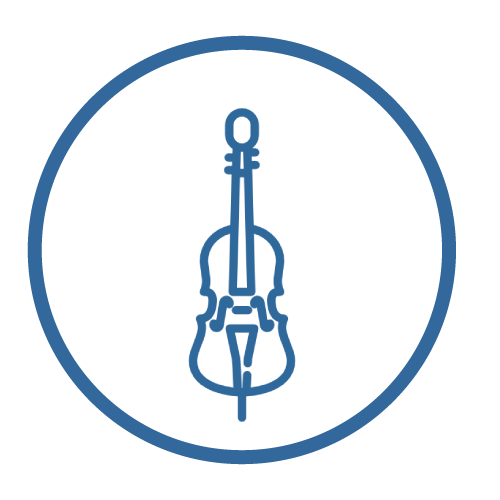 In this short video, Paul Becker describes the core components of a violin, and types of wood that make up a violin. He also diagnoses some needed repairs for this 100+ year old instrument.